Definition - What does Gyan Mudra mean? Gyan mudra, or chin mudra, often used while meditating, is one of the most important mudras that promote physical and mental health. From Sanskrit, chin (or cin) means "consciousness" and mudra means "gesture" or "seal." Therefore, gyan mudra may be translated to mean "gesture of consciousness" in English. To perform gyan mudra, bring the tips of the thumb and index fingers together and form a circle. Keep the remaining three fingers stretched and the palm facing upward. Gyan mudra is used while in padmasana and other meditative yoga poses. It is also used while practicing certain breathing techniques including nadi shodhana pranayama and ujjayi. Gyan mudra symbolizes the union of Self with the universe, the unification of one's soul and the supreme Soul. The thumb symbolizes the supreme Soul, the index finger refers to the practitioner's soul, the middle finger represents sattva ("purity" and "true wisdom"), the ring finger represents rajas ("passion" and "action"), and the little finger symbolizes tamas ("lethargy" and "darkness"). Gyan mudra is an excellent representation of the yogic philosophy of evolving from the state of ignorance to wisdom and from darkness to enlightenment. 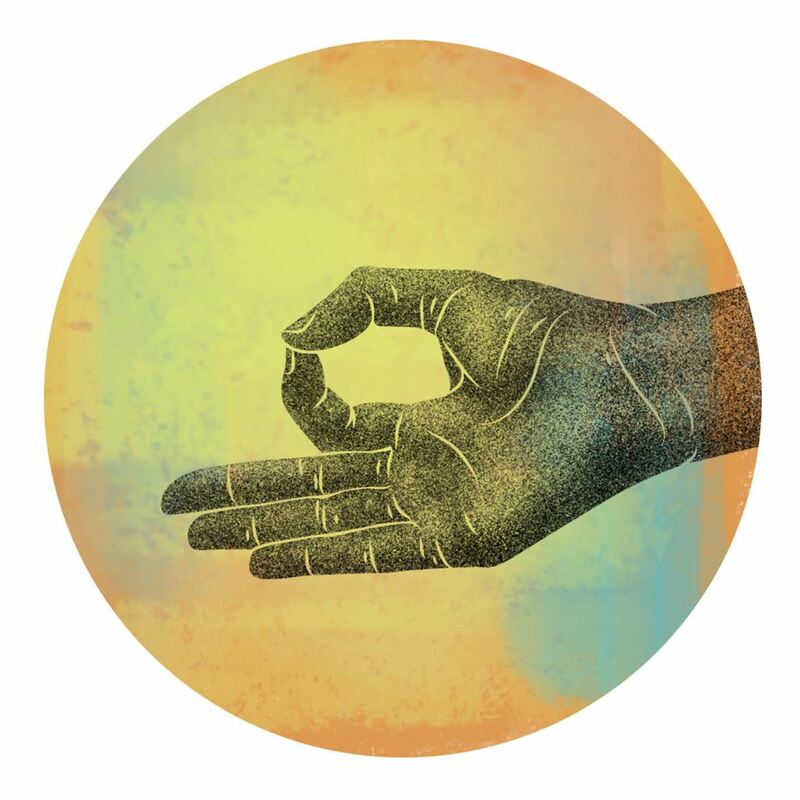 Practicing this mudra helps the practitioner to eliminate negative forces and focus on attaining true knowledge.